The mission of Enough Pie is to use creativity to connect & empower our community in Charleston’s Upper Peninsula. What is the Upper Peninsula (29405)? The Upper Peninsula is an 865 acre region of the Charleston, SC positioned east of I-26, south to Cooper St. and north to Charleston City limits. An area formerly dominated by light industrial usage with over 70 warehouses still existing today, the Upper Peninsula is under increased demand for redevelopment. Over the next 25 years, the Charleston region will continue to experience unprecedented growth targeted in the Upper Peninsula. Currently there are approximately 3,000+ residents (many of whom are African American renters), 1,500+ housing units and 200+ businesses. With 23 houses of worship, eclectic building designs and a unique local character special to the Upper Peninsula, many have recognized this area has a diverse authenticity that not only is in dire need of protection, but also understanding. While the City created a new incentive based zoning district unique to the Upper Peninsula which awards height and density bonuses in exchange for developers adding community benefits like affordable housing, outdoor public space, and green stormwater practices, there is still much work to be done to face gentrification head on. There is enough pie for everyone in this community. However, with the Upper Peninsula rapidly gentrifying, remaining working class community members of Charleston are in jeopardy due to inequitable growth. We believe art, creativity, and critical thinking can play an important role to address community issues that accompany such growth in unique and transformational ways. If not here, where? If not now, when? 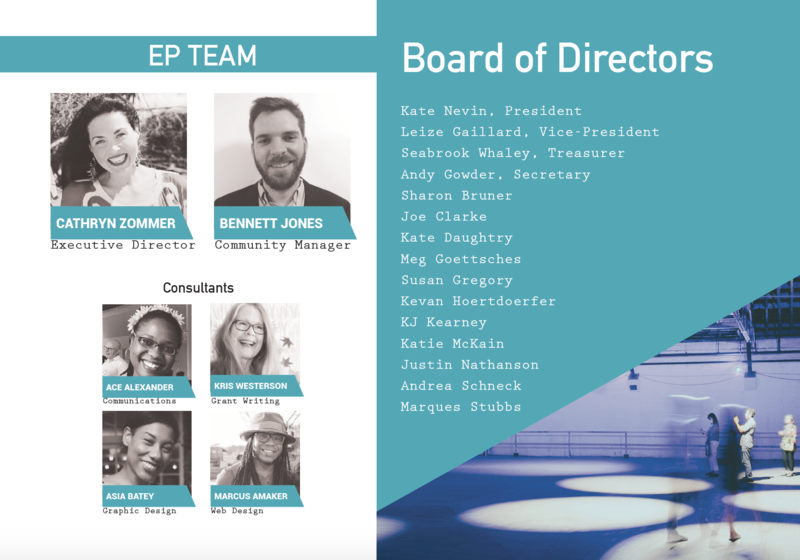 Enough Pie is a non-profit 501(c)(3) organization that helps awaken and connect the stakeholders of the Upper Peninsula of Charleston to shape the development of our community using artistic collaborations, dynamic partnerships, creative placemaking, and civic engagement as tools. We believe that the process of using creativity as a form of community engagement to address broader challenges is as important as the final products and outcomes of Enough Pie’s efforts. Inclusivity is embedded in this process. As a network of residents, artists, and activists, we shine a creative light on this area and unite through creative acts to hold civic leaders and developers more accountable to equitable and just growth.